Betty Florence (Fry) Maxwell of Carlisle passed away peacefully Friday morning, January 25th at the Sarah Todd Home. She was 94 years old. Born in Gettysburg, PA on December 6, 1924, she was the fifth child of the late Edgar and Omie (Showvaker) Fry. She was also predeceased by three brothers: Everett (Virginia), Cloyd (Ruth), Robert (Betty), three sisters: Mary (Jess) Guyer, Jean (Herman) Burkett, Doris (Jay) Zeigler, her step-father Carl Wiser, and her daughter in law Lisa. Betty loved spending summers at her grandparents’ farm in Gettysburg as a child. She graduated from Newville High School where she met her husband, the late Wilmer B. Maxwell. When Wilmer (Bick) enlisted in the Army during World War II he sent money for her to take the train down to Florida so they could be married before he shipped out to France in 1944. More than a couple soldiers on that train tried to derail her wedding plans. 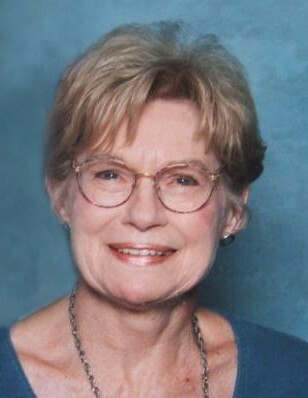 Betty had three children, Robert (Lisa), David (Sue), and Kathleen (Lance Clewett). She and infant son Robert lived for a year in Seattle, where Bick was stationed after returning from overseas before moving to Philadelphia where Bick studied commercial art. Subsequently several years were spent in Newville and Bloserville before making Carlisle their permanent home. Betty enjoyed being a homemaker and raising her children. She and Bick celebrated 69 happy anniversaries together. She loved family beach vacations and in later years they traveled the US extensively, sometimes in a pull-behind Scotty camper. Other travels included a European tour and Caribbean cruise. One of her great joys was going on 2 mile walks daily with Bick and Cindy, her beloved Boston Terrier. She loved being with her grandchildren and made an oil portrait of each one. Her family grew to include thirteen great-grandchildren. Betty was a wonderful self-taught artist, good at various types of oil and acrylic painting, and truly excelled at decorative tole painting. Together she and Bick taught art and craft classes at Sarah Todd home. She worked briefly at the former Carlisle shops, Beauty Classics and Bargaintown and volunteered for many years with Meals on Wheels. She loved playing pinochle with her card club, and she really, really liked ice cream. Betty was kind to everyone she met, and had many friends and family members who felt blessed to be part of her circle. She radiated love and caring to those around her. Children and animals were drawn to her like a magnet. A sixteen year struggle with Alzheimer’s disease took her gradually away, but even to the end her gentle spirit shone through and she was loved by staff and fellow residents at the Sarah Todd home. The family is grateful for the wonderful care she received there. Betty would also want us to mention her sister-in-law Virginia, niece Grace Barrick, and niece Anne Tomaski, who helped the family with her care. A memorial service will be held at 12:30 on Saturday, February 16th at the West Hill United Methodist Church, 2164 Newville Rd., Carlisle, PA, with a luncheon to follow in the social hall. Interment will be at the Big Spring Presbyterian Church at a later date. In lieu of flowers, the family suggests that you do a random act of kindness or make a donation of your choosing in her name. Betty would have loved seeing her life honored by making the world a bit kinder and gentler place. Arrangements are being handled by the Hollinger Funeral Home & Crematory, Inc., Mt. Holly Springs. Visit www.HollingerFuneralHome.com for condolences to the family.